This is a cool and interesting wolf wall sticker for in the living room or in the bedroom of your house. 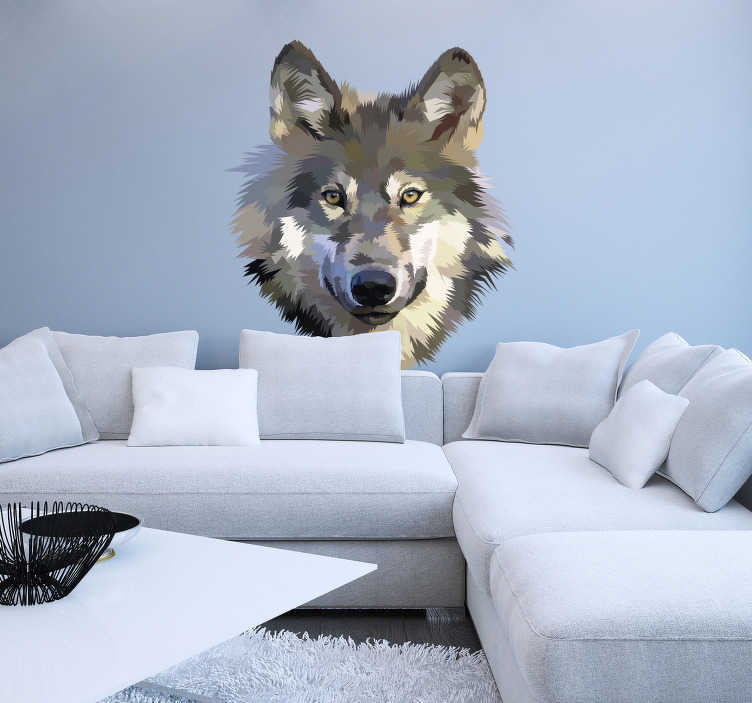 This wall sticker wolf can be adjusted into many different styles and many different sizes, exactly like you would like to have. We can modify all our wall sticker design wolf to your preferences. Our sticker quality is extremely high and we will make new stickers wolf every day to give our customers more choices. Do you like to give this wolf wall decoration as a gift to someone, that is also possible. Painting wolf wall stickers are very popular as home decoration sticker wolf.